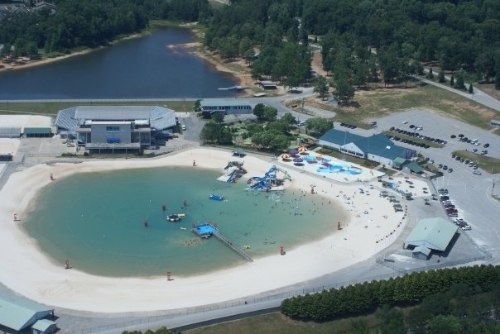 ‘Catching Fire’ to Shoot at ‘The Beach’ in Clayton County International Park. . Wallpaper and background images in the The Hunger Games Movie club tagged: the hunger games catching fire movie set. This The Hunger Games Movie photo contains resort, resort-hotel, ferienanlage, resort hotel, ferienort, and resorthotel. There might also be direkt am meer.